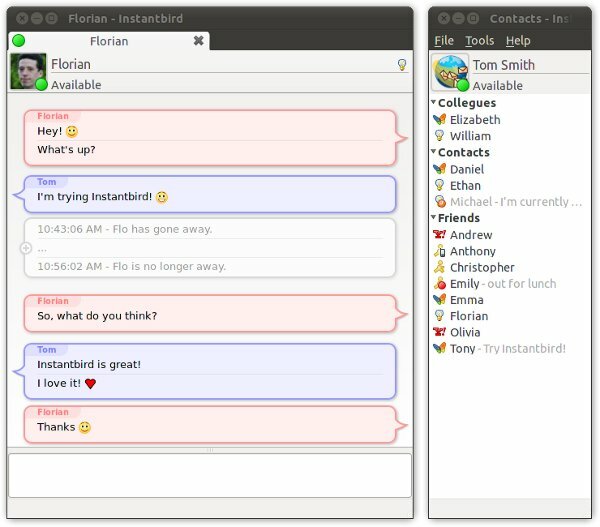 Instantbird, the next generation Instant Messenger application, is now available to download and use. Instantbird has a lot of new exciting features, and so you must give it a try – anyway it’s free and open source! Instantbird focuses on simplicity and efficiency of the user interface. 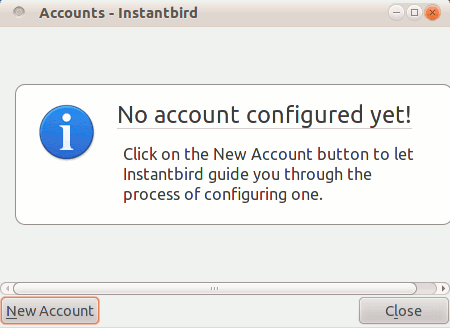 Instantbird is highly customizable and extensible i.e it provides a lot of options which allow you to configure/customize the application as you want. e.g you can change the color of a particular buddy, just in a click. 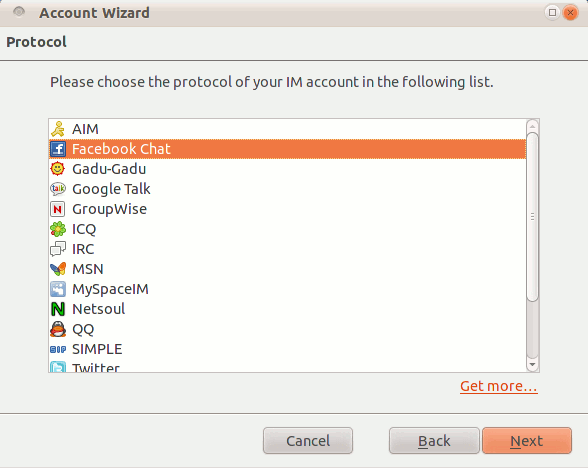 All the common protocols e.g: Google Talk, ICQ, IRC, MSN, XMPP etc are supported with instantbird. It has a lot of cool and exciting features. 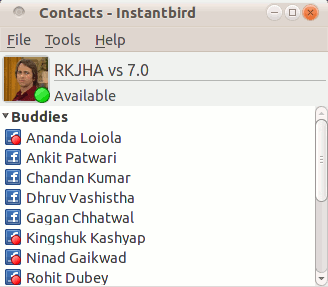 Instantbird vs 1.0 has released today, with cool and amazing features that you wanted to have with a chat client. So chatting is more Fun! with Instantbird. The Application has been powered by Mozilla (because the code written by Mozilla community has been used in this IM project), while a small team of developers has developed this application. 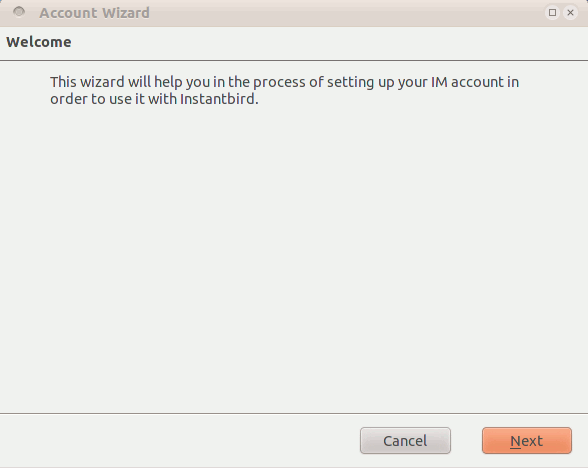 This post has specifically written about installing Instantbird on Ubuntu 11.04(Natty Narwhal) or 10.10 (Maverick Meerkat) or 10.04 (Lucid Lynx), but it should also work with other Linux based distributions such as Linux Mint, Debian, Fedora etc. #2 : Extract the archive and move on to that directory, either in Nautilus (or other File browser, whatever you use) or from terminal (CTRL+ALT+T). #3 : Now, execute the ‘instantbird’ file, which is executable shell script, to begin the installation process (Right click and run in terminal or drag the executable file and drop it to terminal window or type the command(s)). 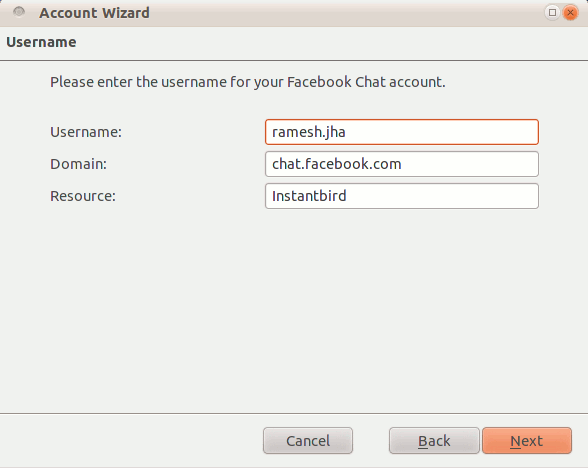 #4 : Now, few window will open and you need to setup the chat accounts with Instantbird by providing the authentication details (usually the username and password, but in case of facebook you need to enter unique username not the email address). Then select the protocol or network and proceed. Now, enter password and continue ..
Finally… you can enjoy chatting with Fun! 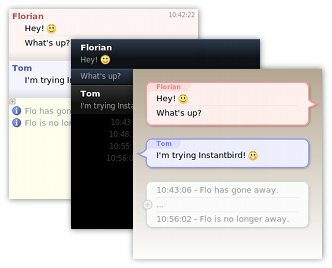 Instantbird is a lightweight, fast, free and open source instant messaging Application i.e a IM chat client (similar to Google Talk or Yahoo Messenger), powered by Mozilla Community. Instantbird is a cross-platform application i.e it’s available for Mac,Windows as well as for Linux based operating system such as Ubuntu (11.04, 10.10, 10.04 or any older versions), Fedora, Linux Mint etc. Instantbird is very simple to use (probably due to elegant and efficient graphical user interface) and highly extensible, with a lot of cool and Innovative features. Instantbird 1.0 is also available in languages other than English, so you might get it in your native language. it supports a variety of networks and protocols. The features of the Instantbird can be easily extended using a lot of plugins available. The version 1.0 has released today! 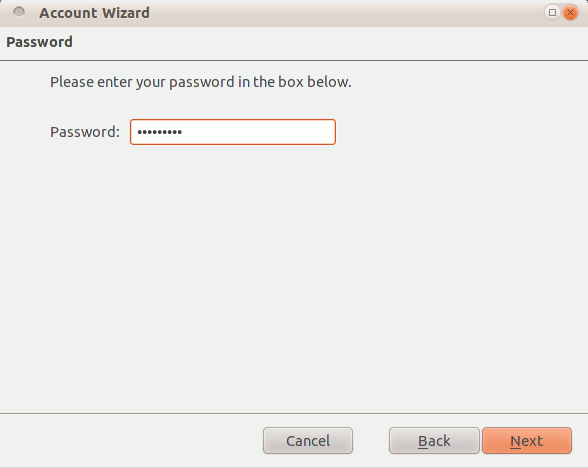 #1 : Download Instantbird for Linux based distro such as Ubuntu. #2 : Then extract it (Right click and select Extract Here). #3 : Now, launch the application by executing the ‘instantbird’ script. You can do that in many ways – e.g: double click and run in terminal or open a terminal, then drag that file to terminal and hit enter. That’s all.. Now enter you account details and continue to enjoy the next generation of Instant Messaging Software with a lot of Fun!